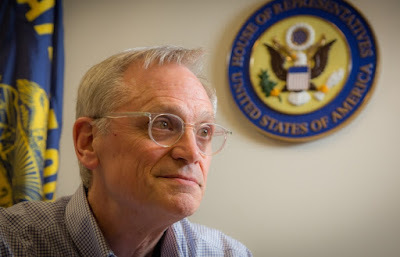 Congressman Earl Blumenauer, a lifelong resident of Portland, Oregon, has devoted his entire career to public service. While a student at Lewis and Clark College, he spearheaded the effort to lower the voting age both in Oregon and at the national level. He ran for office and was elected to the Oregon Legislature in 1972, then in 1978 he was elected to the Multnomah County Commission. He ran for the Portland City Council in 1986, where his innovative accomplishments in transportation, planning and environmental programs helped Portland earn an international reputation as one of America’s most livable cities. After his election to Congress in 1996, Mr. Blumenauer became the chief spokesperson for Livable Communities: places where people are safe, healthy and economically secure. He also served on the Transportation and Infrastructure Committee, where he was a strong advocate for federal policies that address transportation alternatives, provide housing choices, support sustainable economies and improve the environment. He is currently a member of the Ways and Means Committee and the subcommittees on Health, Social Security and Trade. Every holiday season he makes a multitude—this year it was well over 200—of fruitcakes for friends and colleagues, saying this tradition, for him, is an exercise in connection, creation, and fellowship. The main problem we have is a massive system of agriculture support and fragmented policy that does not serve the broader interests for agriculture and nutrition. Oregon and Washington are particularly disadvantaged because it is skewed toward large industrial agriculture and processed food. Oregon has a very diverse agricultural base, and it’s not dependent on large subsidies for major commodities like corn, rice, cotton, wheat, soy. We have some wheat, but in the rest of the country, the support flows to those major commodities. We have an agricultural base that, they’re called specialty crops, but it’s basically food and nursery, and our wine industry. These people don’t want federal subsidies [but] they would like support for innovation. They would like support for protecting the environment, water quality, habitat, things that help the farmer and have broader social and economic benefit. The big issue is that all the attention and subsidy is skewed toward things that don’t need it, and shortchanges things that do, upon which we’re heavily reliant. I could take the next half hour and talk about how this administration’s devastating, cruel and inhumane policies on immigration threaten our wine industry, threaten our orchards, threaten the nursery industry, but I think the big issue for me is the mismatch between federal programs and priorities and the needs of most farmers and ranchers, especially in the Pacific Northwest. It’s a big question mark. There has not been any sort of thoughtful, rational position paper that has emanated from either the Trump campaign or the Trump administration. When he convened some people early on, they weren’t exactly on the cutting edge of innovation and reform. But we truly don’t know. Mick Mulvaney, who’s the OMB (Office of Management and Budget) director, who’s been in charge of the slash-and-burn program, like the defunding of public broadcasting—Mick is not a fan of some of the wasteful agricultural subsidies. And who knows how that plays out? In the Northwest, our farmers and ranchers are disadvantaged because we don’t have an effective program of crop insurance. It is so distorted and heavily subsidized that, in some cases, some commodity growers can plant crops they know will fail because they make so much from failure that it’s worth their while. At the same time, [for] people in the nursery industry [and] in the wine industry, there is no meaningful crop insurance for most of Oregon agriculture. [The system] doesn’t work for them. [Organic and sustainable farming] is another one of those areas where there ought to be some support from conservative forces. I don’t know where the administration is going to come down, but I’m working on a version of the Farm Bill that would make more sense for Oregon, and there are many conservative groups that are working with us to try and reform things like crop insurance. [Conservatives are involved in the issue] because no good is served by wasting money and not helping people who need it. So that’s something that I’ve found that they’re open to reforming to make it work better and, of course, save money. We all ought to be concerned about that. The best source of information for us are the people who are in the field who are working on it now. Oregon has, as you know, a number of leaders in sustainable agriculture and national efforts for nurseries, for wine. They are quite innovative in organic. I think the best source for us all is to spend a little time with people who are trying to do it right. They’ve got some great observations. I’ve learned a lot from them and I think the more that we can connect to Oregon’s farmers and ranchers [who share] our values the better off we’re going to be. I think the most effective action that citizens can take is to invest their time and money in the type of food that they think is worthy of it. Voting with your dollars to support farmers’ markets and value-added agriculture and being willing to spend a few pennies more to make sure that people who are taking a risk to do the right thing, that are being trailblazers, that are spending extra time and effort, that they’re supported. 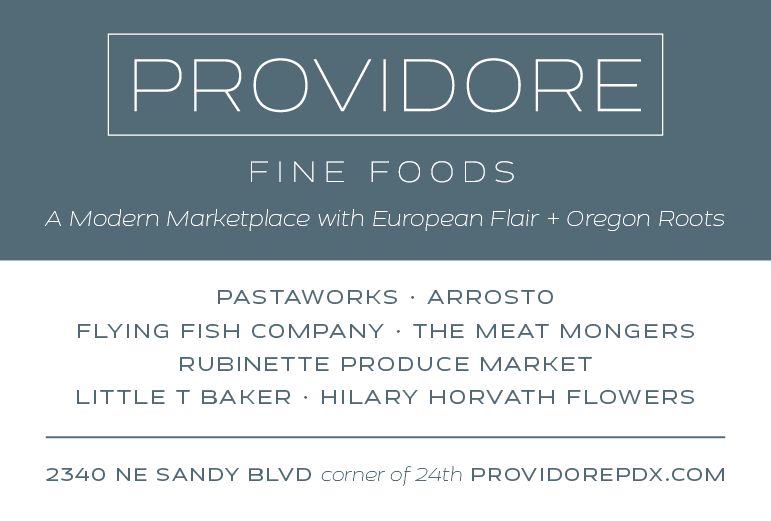 I think that if all of us voted to support the producers, the restaurants, the food products that mirror our values, that is in the short term is the single most important thing we can do. Help them be financially successful, show that there’s a market, and get used to enjoying the fruits of their hard work. In the long term, I hope people will work with me to think through what a farm bill would look like just for Oregon. We’ve traveled the state for the last couple of years interacting with thousands of people, and we’ve got some pretty good recommendations that are being developed that we’re advancing. Those are the sorts of things that we want to get into the discussion of the next Farm Bill that I hope will be enacted. We should [also] have a farm and food policy for Oregon. We should start by renaming the Department of Agriculture, like Jerry Brown did in California, the Department of Food and Agriculture. We ought to make sure that Oregonians who are in Congress are going to fight for provisions that are going to make a difference for us. What I’m hoping that each Oregonian will do is to raise the need for sound food and farm policy with all the organizations that are impacted by food and farm policy. The people who are fighting hunger, like the Oregon Food Bank. I had a meeting recently with probably two dozen environmental organizations that were sharing with me what their priorities were. We went all the way around the room and I heard from them and they are things that I care about, and I said none of you have mentioned the Farm Bill. Does anything in the Farm Bill affect your environmental priorities? People thought for a second, then they went around the room and everybody, every one of those organizations had a stake in the Farm Bill. People who care about conservation programs. People who care about water quality. People who care about wildlife. People who care about toxics. I mean, we went all the way around the room and everybody acknowledged that they had a stake. There’s a move afoot back here in Washington, DC, to blow up the Affordable Care Act. I’ve been having dozens of meetings with people in the health sectors, we talk about their concerns and we compare notes and stuff, but in every one of those meetings, I ask, "What is your position on the Farm Bill?" And they think about it for a moment and [say] we have the food and farm policies that subsidizes a diet that literally makes us sick. It’s too expensive, especially for lower income people, seniors, to be able to have healthy food, and there are some subsidy programs we need more of. We don’t do a good enough job teaching children about where their food comes from, how to prepare it. The Farm Bill has a tremendous impact on education. Everything from having healthy food in our schools to our prisons, to ecomomic development for small and beginning farmers. The average age of a farmer in the United States is pushing 60. It’s hard for young people to break into the market. The organizations that support family farms, the organizations that deal with economic development. Every organization that cares about the health and well-being of our people, our economy, and our environment should be involved with [the Farm Bill] and I think citizens ought to push on all the organizations that they have contact with to make sure they’re doing their part for a food and farm policy that works. [As to the impression of most people that the Farm Bill is huge and intimidatingly complex], that’s a deliberate strategy. It’s complex and convoluted, and that way a small group of people can control the dialog and virtually nobody fully understands the Farm Bill. This is an edited transcript of an interview I conducted with Congressman Blumenauer on Mar. 17, 2017.